Who is winning Labour’s NEC elections? 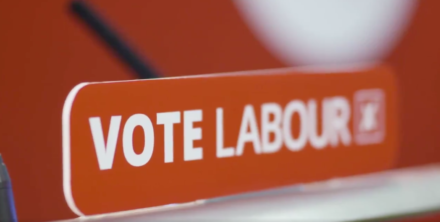 CLP nominations of NEC candidates aren’t binding, but candidates do need at least five to get onto the ballot paper, and they can be indicative of the final result. So far, CLP nominations show the Momentum/Campaign for Labour Party Democracy/Centre Left Grass Roots Alliance slate of candidates for Labour’s NEC ahead, followed by Open Labour-backed Ann Black, then those endorsed by Progress and Labour First, and finally the completely independent runners. Of the last category, only Eddie Izzard (who became an NEC member in March, when Christine Shawcroft quit) and Stephen Stanners have so far gained the five CLP nominations required to make it onto the ballot paper. This is all pretty much to be expected, though it is notable that Ann Black is doing so well – just ten nominations behind Ann Henderson, who is currently bringing up the rear of the Momentum slate. On current numbers, we can anticipate that the Momentum candidates are heading for at least 200 nominations each, Ann Black up to 200, and the Progress/Labour First candidates between 40 and 100 each. Of the Momentum slate, CLPD secretary Pete Willsman, Rachel Garnham, Jon Lansman, Yasmine Dar and Huda Elmi are in the lead. Of those, only Elmi – new to the slate – is not already on the NEC. Claudia Webbe, newbie Nav Mishra, Welsh executive committee member Darren Williams are a handful of CLPs behind, while Ann Henderson, likely the least well-known of the group, comes ninth. After being dropped from the Momentum slate due to a row over the leadership contest freeze date vote, Ann Black only has the soft left’s backing officially. However, as a veteran left-winger she still has old friends on the Left of the party and is also the beneficiary of tactical support from some Corbynsceptics, who are more politically aligned with Progress/Labour First but recognise that Black has a chance of winning. The Open Labour candidate’s history of writing up NEC reports over a long period of time is helpful too, and it’s rumoured the number of recipients on her personal mailing list is in the tens of thousands. That Johanna Baxter and LabourList columnist Luke Akehurst have gained the most CLP nominations of their slate is unsurprising: they are both former NEC members who have built relationships with CLP secretaries and others in the party over many years. More interesting is that a number of CLPs have nominated Baxter and Akehurst plus members of the Momentum slate. Those results can be explained by: a) members simply voting according to name recognition; or b) CLPs that nominate using the single transferable vote system (e.g. Hackney South and Shoreditch, Lancaster and Fleetwood), which helps produce a mixed selection of nominated candidates. Of course in the real election, first-past-the-post is used – to the advantage of slates. It’s key to remember that although these nominations give some idea of the final result, there will be differences. Labour members who attend local party meetings are more likely to nominate veterans with strong intraparty relationships, such as Peter Willsman and Luke Akehurst, over those who would normally be considered to have strong name recognition. That’s why comedian Eddie Izzard, currently on 11 nominations, will do better in the all-member online vote. Candidates on the Momentum/CLPD slate will undoubtedly take at least eight places on the NEC. The question is whether Ann Black manages to get in too, which Corbynsceptics – although Black does not count herself as one – would regard as progress.